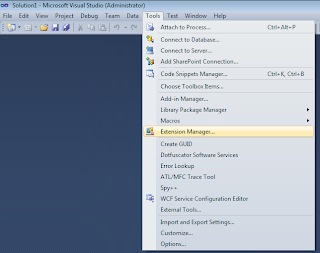 Unable to install Nuget Package Manager on Visual Studio 2010 SP1, Windows 7, 64 bit machine. When creating new MVC4 Project, getting Nuget Error "No more data is available". Here are the steps which will resolve the issue. If you get error like "No more data is available", Download it from Nuget Website. 3. Once downloaded, change the extension "vsix" to "zip"
if it is not existing, create the folders so path could look like above path. It worked like charm. Thank you so much.